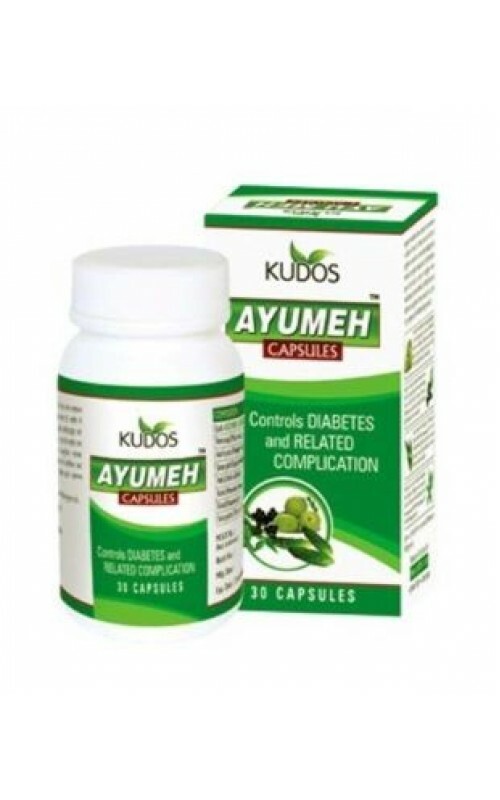 Ayumeh Capsules is a great combination of herbs like Jamun, Karela, Neem, Amla etc. which collectively activates pancreatic beta cells to produce bodys own Insulin to control blood glucose level by improving glucose metabolism. Highly beneficial in weak eye sight (Retinopathy), kidney disorder (Nephropathy), nervine weakness (Neuropathy) and treats general and sexual weakness. 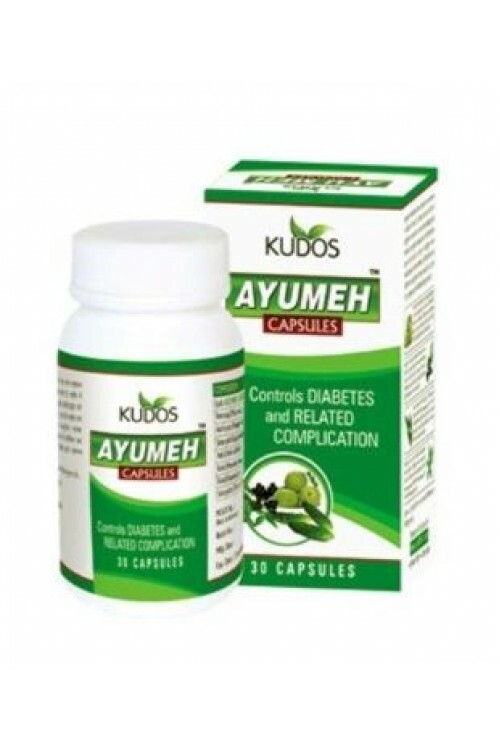 Improves quality of life in diabetics. Two Capsules Twice Day .